Sixty New Zealand health academics and practitioners have sent a strong message to the government that public health must not be sacrificed on the altar of the Trans-Pacific Partnership Agreement when trade ministers meet in Singapore this weekend. The letter to Health Minister Tony Ryall has been signed by public health doctors, surgeons, physicians, health economists, child health specialists and others. Signatories include Peter Crampton, Pro-Vice Chancellor Health Sciences at the University of Otago, Philippa Poole, Head of Medicine at the University of Auckland, and John McCall, Professor of Surgery at Dunedin Medical School. PHARMAC is not their only concern. The letter warns that provisions for private investors could deter future regulatory action on public health issues, such as tobacco, alcohol, unhealthy foods and advertising. A further concern is the ability of commercial interests to exercise greater influence over domestic public health decisions, including pharmaceutical expenditure. The letter urges Tony Ryall as Minister of Health, to ensure that the Minister of Trade rejects any proposals within the TPPA negotiations that threaten New Zealand’s ability to protect the health of its population. 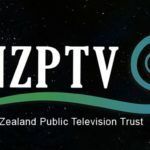 In a sign of frustration at the need to rely on leaked texts to assess the implications of the agreement for the health of New Zealanders, the letter urges the Government to release the text of the TPPA prior to signing. The undersigned are senior New Zealand academics and practitioners with expertise in health and medicine. 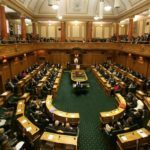 The New Zealand Government and the other eleven countries involved in the negotiations for a Trans-Pacific Partnership Agreement (TPPA) have set the end of 2013 as the timeline to conclude the agreement. We understand that crucial decisions on outstanding matters are likely to be made at a Ministerial meeting scheduled to begin on 7 December in Singapore. We are writing to express our deep dismay that the Government might consider making such decisions when there has been no public disclosure of the draft text, nor any opportunity to analyse provisions that may have a negative impact on the health of the New Zealand population. • We are concerned also there may be other provisions that pose risks to public health and will not be identified unless there is an opportunity for open scrutiny prior to finalizing the agreement. We urge you to treat as non-negotiable any proposed IP provisions that would delay the market entry of generic drugs, which are crucially important to PHARMAC’s bargaining power. These include clauses relating to patent term extension, data exclusivity, and patent linkage. The leaked intellectual property chapter showed the US was making proposals that would require significant changes to New Zealand law and undermine PHARMAC’s ability to negotiate on pharmaceutical prices for the New Zealand health sector. The US has also apparently proposed a 12-year period of biologic exclusivity, which would confer an unjustified period of monopoly control. This is far in excess of what other countries involved in the TPPA currently offer, if they offer biologic data exclusivity at all. New Zealand does not. Biologics (pharmaceuticals created through biological processes, e.g. vaccines) are a growing element of total pharmaceutical expenditures and are particularly important with respect to certain chronic, non-communicable diseases such as diabetes and cancer. We further understand that the US is seeking to allow broad-ranging patents for diagnostic methods. Virtually all free trade agreements reinforce the position in Articles 27.2 and 27.3 of the World Trade Organization’s Agreement on Trade-related Aspects of Intellectual Property (TRIPS), which expressly permit members to exclude from patentability “diagnostic, therapeutic and surgical methods for the treatment of humans or animals”. We call on you to hold to this position in TPPA negotiations on behalf of all New Zealanders. Reports since the latest round of negotiations indicate that the US has offered flexibility in relation to these provisions to low-income countries, but these are temporary. Once a country crosses a per capita income threshold (approx. $12,000), that country would be required to comply immediately with the highest level of patent and data monopolies ever proposed in trade negotiations. New Zealand is not a low-income country and would not have access even to those limited flexibilities. Indeed, because New Zealand does not have an existing free trade agreement with the US (unlike most other higher income countries in the negotiations), more extensive changes would be required of our domestic law than of any other country. The consequence would inevitably be higher costs to government for providing health services and higher costs to patients for medical care. The latter would increase current disparities in access to care and health outcomes. In addition to longer and more far-reaching patent monopolies, we understand that an Annex on Transparency in Healthcare Technologies could require extensive disclosure by PHARMAC of its criteria and calculations, creating new opportunities for industry to contest decisions. The proposed chapters on Regulatory Coherence and on Transparency may provide additional avenues for industry influence and leverage. We believe it is inappropriate for commercially driven multinational pharmaceutical and medical devices industries to be involved in the decision-making processes of a public agency (PHARMAC), which has the mandate to employ New Zealand taxpayer funds for the purpose of promoting population health objectives. We are proud of the progress that New Zealand has made in these fields, but there is much more to do. Malaysia is reported to have tabled a comprehensive exclusion for tobacco control measures from the TPPA. We call on the government to support Malaysia’s position. Without a comprehensive and unambiguous exclusion, we fear the tobacco industry will obstruct and undermine health policy, jeopardise our ability to achieve the goal of a Smokefree Aotearoa New Zealand by 2025, and make it difficult for New Zealand to comply with its obligations under the Framework Convention on Tobacco Control. Similar concerns apply to our efforts to reduce alcohol-related harm. For instance, provisions in the wine and spirits annex to the chapter on Technical Barriers to Trade may limit the options available to create a fully effective regime of alcohol warnings for wine and spirits. Even if the annex did not include any explicit restrictions on the design and placement of alcohol warnings, the right of a manufacturer to meet New Zealand’s requirements through a supplementary label could, in effect, prevent the government from mandating that warnings be placed in a prominent position. While the current voluntary scheme for alcohol warning labels is being evaluated, it is important that the New Zealand government retains the right to regulate alcohol warnings under the TPPA. Very little is known about the way that new rules on government procurement and state-owned enterprises proposed in the agreement might impact on public health. This is of great concern at a time when experiments in public-private partnerships, long-term contractual arrangements and stand-alone public health entities are increasingly being used in the public health sector in place of public not-for-profit provision. Again, the secrecy of this text makes it impossible for us to assess the implications, especially as these arrangements involve very large commitments of public health funding for many years ahead. Patents and health service contracts are known to be among the investments covered in the investment chapter of the TPPA. This means a pharmaceutical company from one of the member countries, especially the US, would immediately be able to sue the New Zealand government if its expectations of IP-based profits were thwarted by fully lawful legislative, regulatory, or judicial decisions. The case currently being brought against the Government of Canada by Eli Lilly under similar rules in the North American Free Trade Agreement illustrates this risk. Private and foreign corporate interests must not be prioritised over the sovereign interests of New Zealand. Provisions that would allow the government to be sued by private investors for regulatory changes made in the public interest, or administrative or judicial decisions made according to New Zealand law, are simply not acceptable. Key public health concerns such as tobacco, alcohol, and advertising should not be subject to investor-state disputes by foreign investors either. Again, recent cases brought by tobacco companies against Australia and threats of such action here over proposed plain packaging laws, show the risks are far from hypothetical. Foreign private investors must not be able to resort to litigation to deter and impede government action to improve and protect the health of all New Zealanders. The overriding priority of any international agreement must be the long-term best interests of a country’s citizens. We have serious concerns that the partnership agreement will cause patients to suffer and will load governments with additional, unreasonable costs for medical technologies (both new and existing). 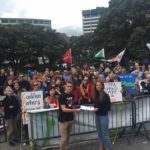 We urge you to ensure that the Minister of Trade rejects any proposals within the TPPA negotiations that would require changes to New Zealand’s existing law, policy settings or practices that threaten New Zealand’s ability to respond to new health care and public health challenges in the future. Further, we urge the Government to release the text of the TPPA prior to signing. Mark D Smith BHB MBChB MMedSci(hons) FRACS. Laparoscopic, General and Bariatric Surgeon, Southland Hospital. Public Health Physician and Current President of the NZCPHM. Senior Lecturer in Māori Health, University of Auckland. Richard Edwards BA, MB BChir, MPH, MD, MRCP, FNZCPHM, Professor and Head of Department of Public Health, University of Otago, Wellington. Did Groser sell out on TPPA with nothing on agriculture?